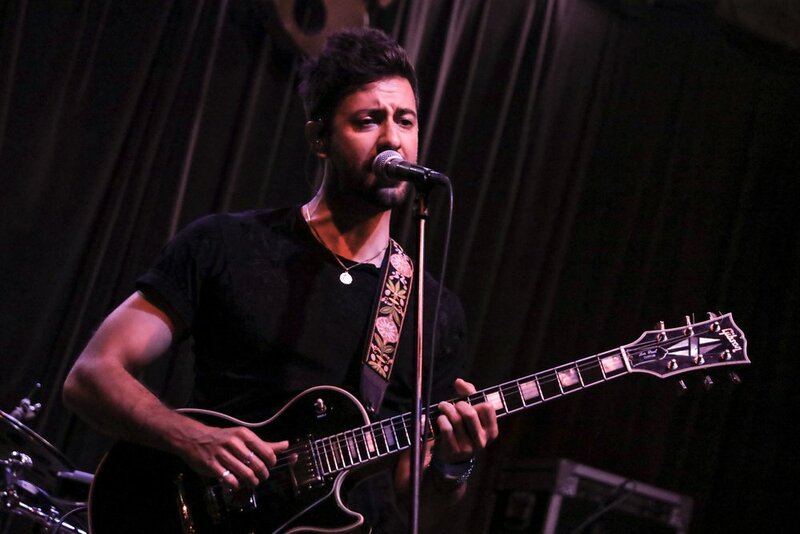 After an amazing Bonnaroo performance, Bruno Major performed an intimate set at Stubbs to about 100 lucky fans. For more than six months, Bruno has been releasing a song per month. Writing and releasing music every full moon lead to his album title “A Song Every Full Moon,” which was released in 2017. Before he began his set, he opened up by saying “I love Texas!” And the crowd cheered him on from there. After recently being on tour with Sam Smith, he began making his way up the music scene with the attention of Sam’s fans. His lyrics are influenced by the likes of Randy Newman, Bob Dylan and Billy Joel. Major says the album is a reflection of him and has a deep meaning to it. Bruno Major will continue these last few dates of this tour in support of his latest album and then head overseas for a few festivals. Every concert offers the opportunity to experience a particular subculture or counterculture at its purest. This is part of what I’ve always found so compelling about live music: the possibility to step into a new world, even one in which you feel you may not naturally belong, and for a few short, sweet hours make it your own. Though there are innumerable differences that divide every one of us (some more than others), not one seems to matter in the face of the unifying power of music. There are no enemies in the concert hall; there are no outsiders. It seems to me that the world at large is in desperate need of this lesson; I know I did, at least, as I made my way to The Mohawk in Austin on Friday night. As I shuffled my way through an already-packed crowd, I certainly felt like an outsider: I was alone, everything from my clothes to my sparse facial hair screamed that I was fifteen years junior to everyone else, and the buzz of excitement in the air reminded me that this concert was a dream many people had waited years for, while I had happened to stumble into a ticket. I felt like a phony. Thankfully, a drink and a couple of friendly bursts of conversation relaxed my mind. The energy in the venue began to swell; animated by a funky and entrancing beat that electrified the room, it grew until the multi-tiered arena threatened to overflow. Then silence. And then Wolf Parade came on stage. 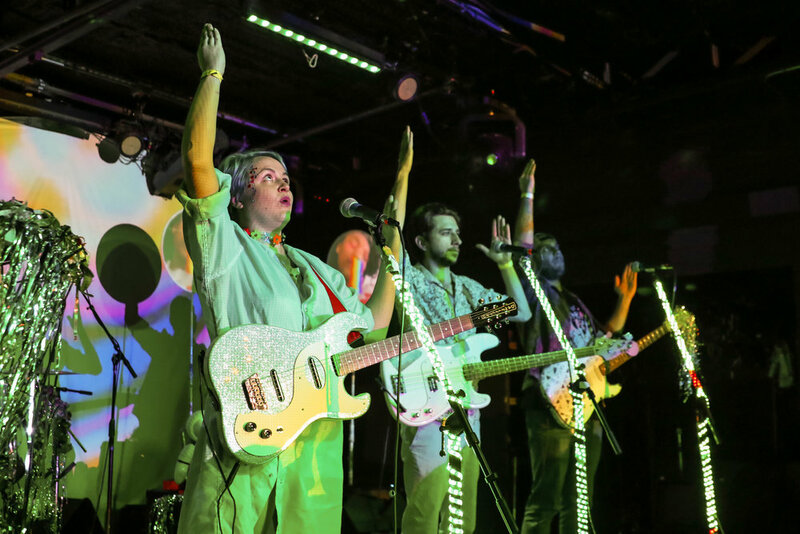 There was no air of bravado or extravagance to their entrance, just Dan Boeckner’s humble, almost shy promise of what was to come: “this is gonna be good.” With that, the quartet soared into the opening track of their latest (and hugely anticipated) album Cry Cry Cry. “Lazarus Online” was the perfect choice to ignite the audience: Spencer Krug’s dynamic, driving work on the keyboard anchored the song, allowing synths, guitar and drums to swirl nebulously around the resounding chorus of “Let’s fight/Let’s rage against the night.” With this defiant call to action left hanging halfway between a challenge and a promise, Wolf Parade embarked on a high-octane journey through records new and old and just about every emotion imaginable. And what a wild ride it was. The spacious restraint of “Soldier’s Grin” highlighted the spastic insanity of “Grounds For Divorce;” the shining, polished joy of “You’re Dreaming” and “Valley Boy” stood in perfect opposition to the cacophonous splendor of “Fine Young Cannibals.” Over the course of the night, Wolf Parade demonstrated a rare understanding and mastery of the art of balance: even at the height of their hectic, unrestrained glory, in the moments when the music seemed to possess and distort the band members, there was never any dissonance within the band or the music—or the crowd. There was always a method to the madness, a purpose for the protest. 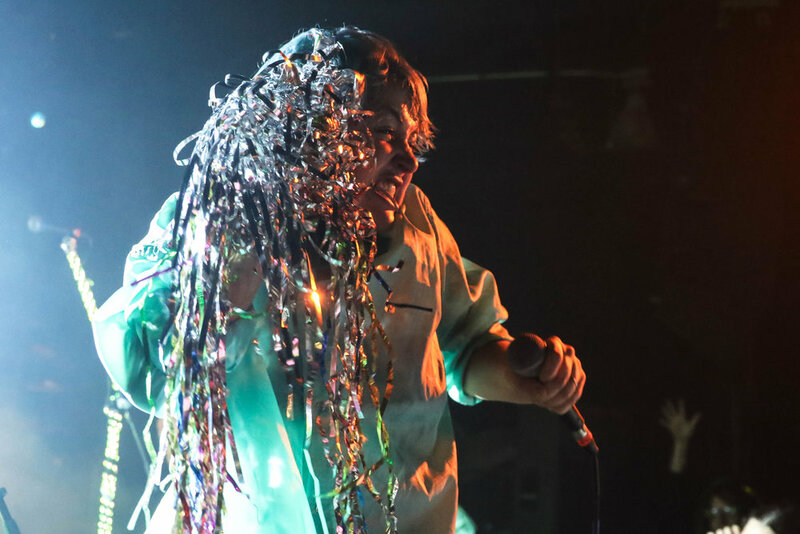 Even in the band’s darkest musical moments, like during “King of Piss and Paper” (a song that Krug emphatically devoted to our “big baby-faced leader), victorious synths fluttered above a mire of noise and frustration, a single ray of hope bursting through a wall of pure anger. It was around this consistent note of hope that the crowd unified and became one, entranced by the resoundingly pure energy that emanated from the instruments and figures onstage. The show reached its triumphant climax with “I’ll Believe In Anything,” an exhilarating anthem demanding that we fight against the dark night. Though their encore was a frantic, almost primal wave of sound that carried the audience into a contented conclusion, it will certainly be “I’ll Believe In Anything” that sticks with us into tomorrow, next year and beyond. In an era when we all desperately need something to believe in, Wolf Parade gave us all something tangible, something real, to believe in. 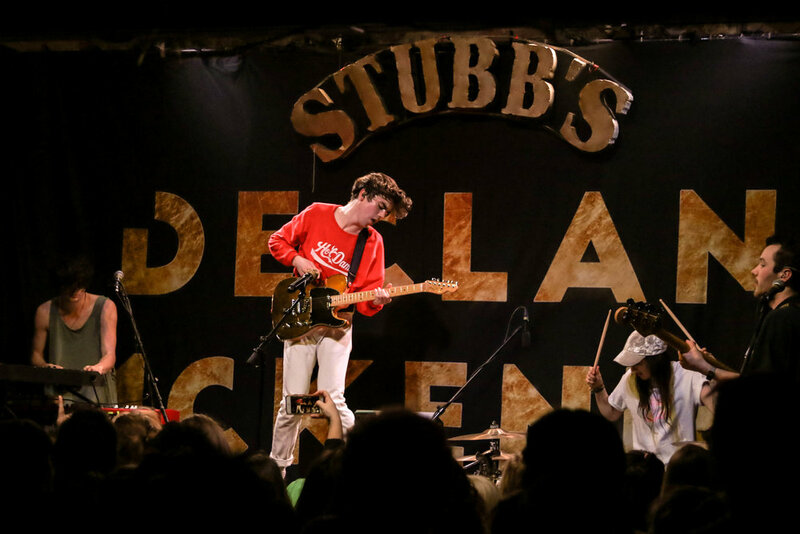 Up and coming heartthrob Declan McKenna began his tour in at Stubb’s in Austin, Texas. He brought along 19-year old singer Chappell Roan along with him for a journey. The crowd gave him a wonderful first night of tour to remember as it was sold out show. Chappell started the night and her voice was as beautiful as a sunset sky, the crowd was shocked. Her songs were very mellow and at a slow tempo, but that allowed her voice to soar. During her performance she sang a cover of “Dreams,” in honor of the late Cranberries singer Dolores O’Riordan and it was absolutely beautiful. 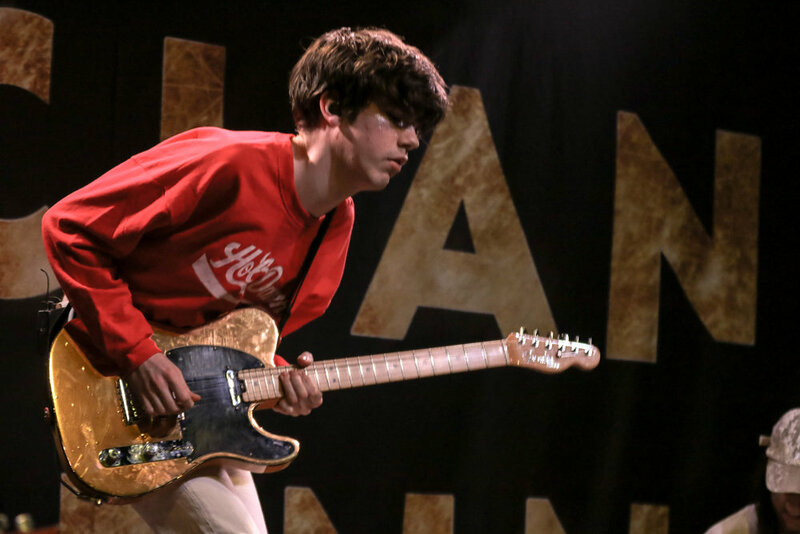 Chappell Roan will continue supporting Declan McKenna on the rest of the tour through the end of March. It was now time for Declan McKenna to take the stage.. He began with an intro and went right into his song “The Kids Don’t Wanna Come Home,” as the crowd of many girls screamed their heads off and sang along. 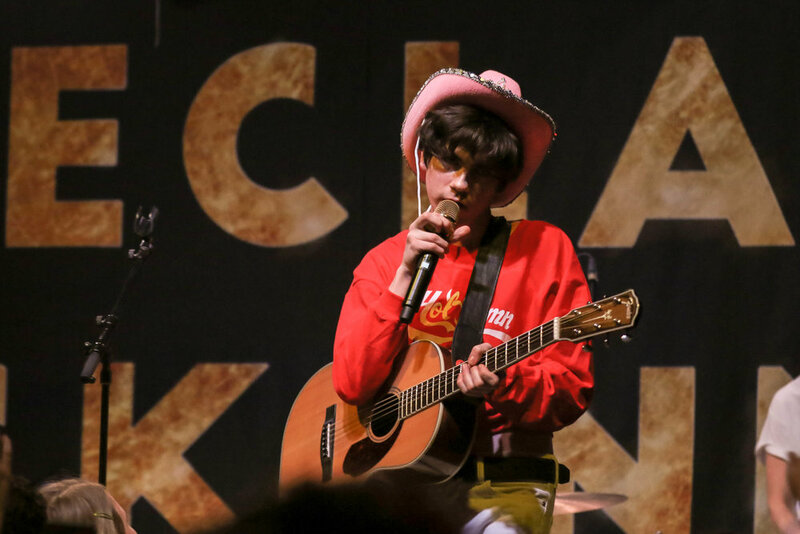 He grabbed a pink cowboy hat from a fan in the front row and performed with it on until it fell off, and you could say he was up there having the time of his life and interacting with the fans. 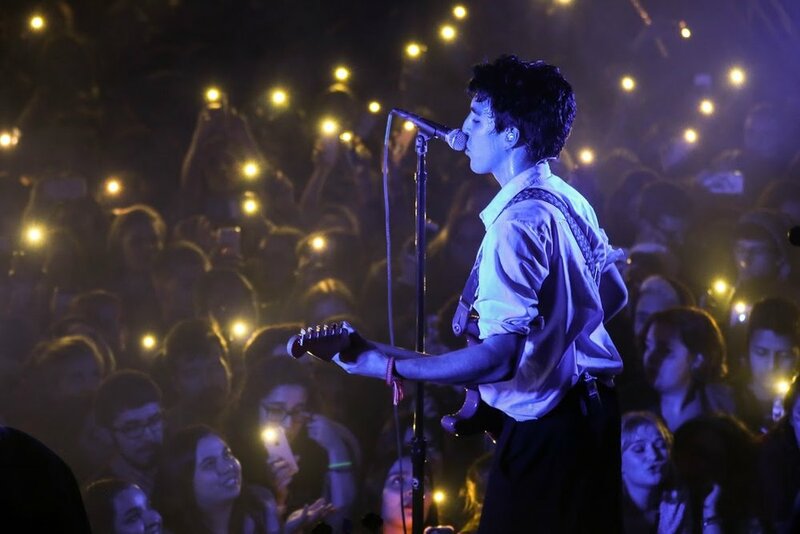 The fans wanted an encore as the band went off stage and they came back and performed one of his most popular songs “Listen To Your Friends.” Everybody in the crowd sang along and cheered for him. Had he played at a larger venue in Austin, I am sure that would have also been sold out. 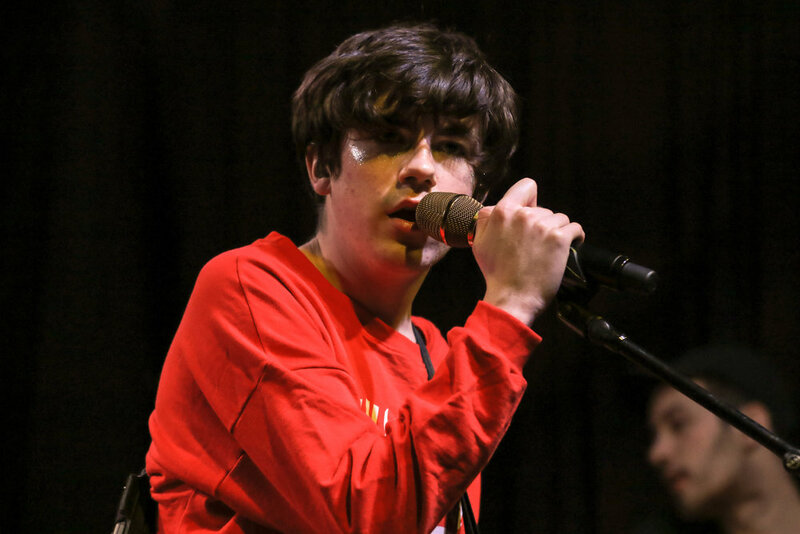 Declan McKenna will no doubt be back in Austin but will be playing a much larger venue next time for more of his fans to come see him. 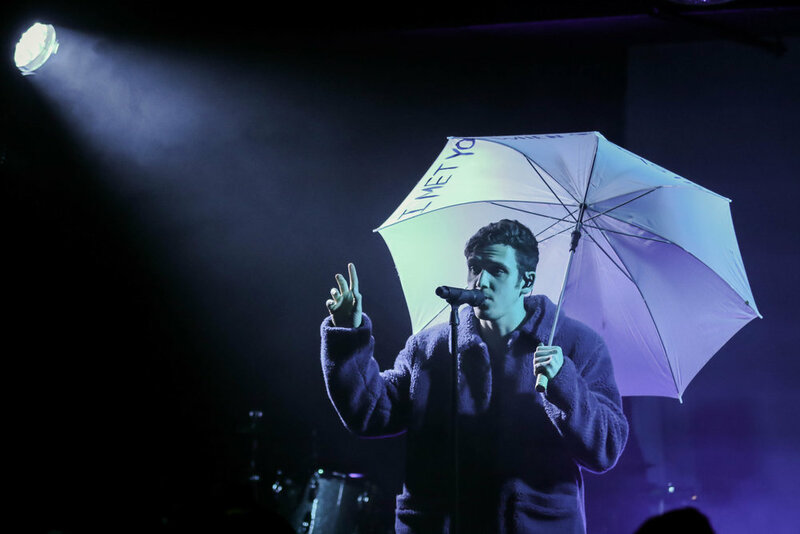 LAUV brought his “I Met You When I Was 18” World Tour to Austin at The Parish with support by singer-songwriter Ashe. 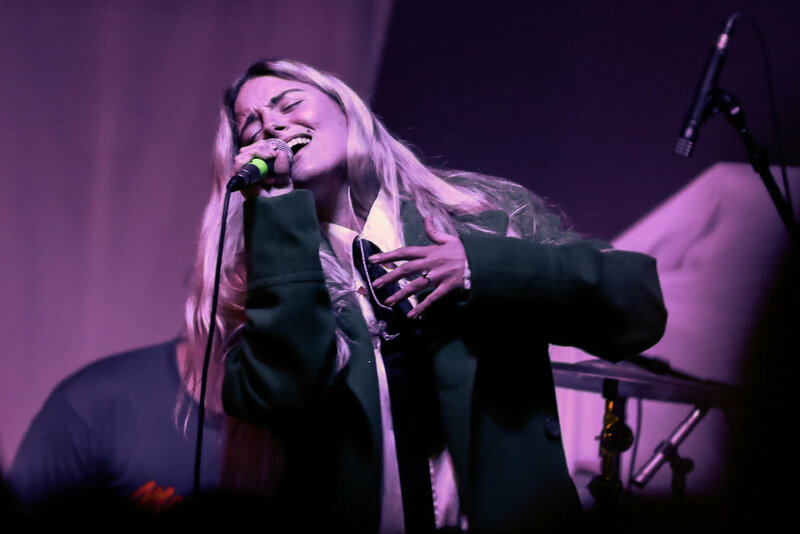 Ashe began the show and the crowd really seemed to enjoy her style of music, as it was quite similar to that of LAUV’s. She performed some of her popular songs that some of the crowd seemed to know such as “Used To It,” and “West Coast.” Her voice was very soothing and her songs were quite catchy, they made you want to sing-along and dance. The crowd was at their loudest pitch when LAUV took the stage. He first began at his keyboard and made his way to center stage where he brought out an umbrella that said “I Met You When I was 18,” on it and broke out into his song “Paris In The Rain.” He was very energetic in his set, which is what one hopes for from a young artist on the rise. He recently toured with Ed Sheeran and gained a lot of popularity which has definitely helped his solo career. He performed his big hit with DJ Snake “A Different Way,” everybody in the crowd sang along and knew every single word. 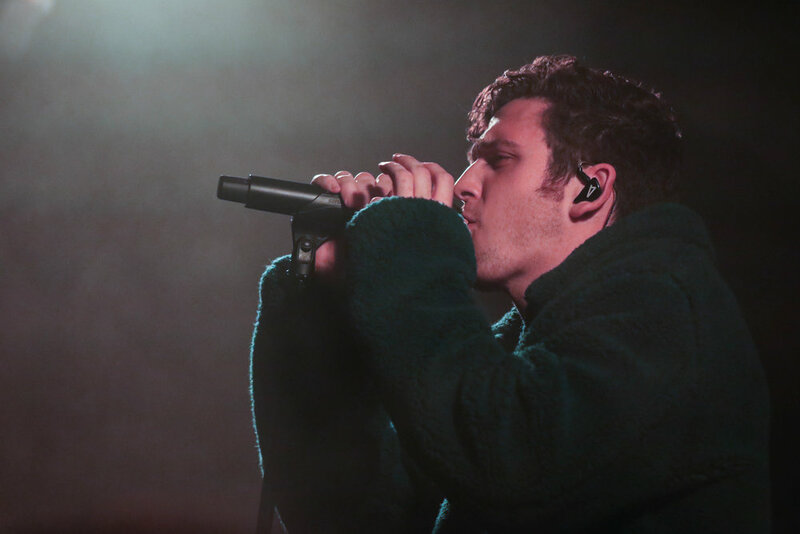 He ended his set with “I Like Me Better,” and “The Other.” LAUV is still on tour through February and will head overseas to Indonesia and Japan in early march. 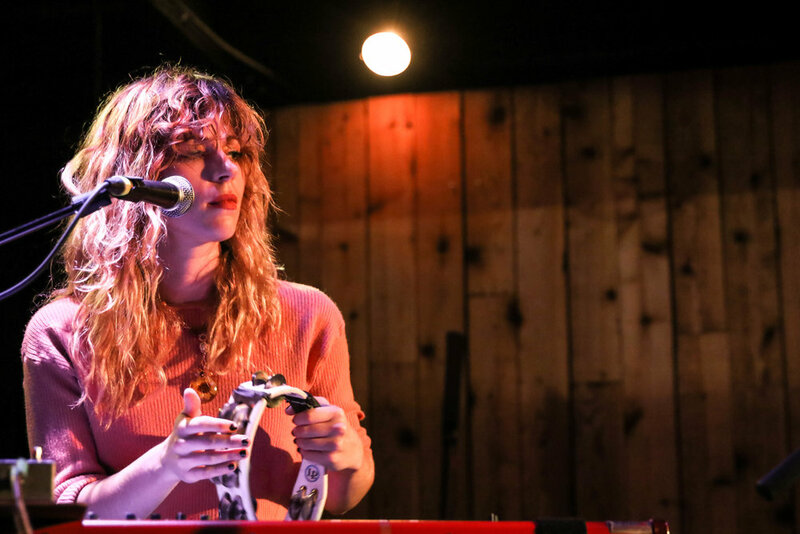 Indie pop artist Hazel English ended her tour at Stubb’s and it was a special night for her and her fans in attendance. Opening up the show was Austin’s own Julia Lucille. A soothing voice flowed through the crowd of Stubb’s as fans watched and listened. Lucille recently released a new album titled Chthonic. She was an excellent choice as an opening act for Hazel English. Hazel English took the stage; she opened with “Other Lives,” followed by “Make It Better,” both from her album Never Going Home. The crowd was quite mellow, yet enamored. They were intently listening to the lyrics and melody coming from the sound of Hazel's voice on stage. She ended the night with “Never Going Home,” and “That Thing,” leaving her fans more even than satisfied. 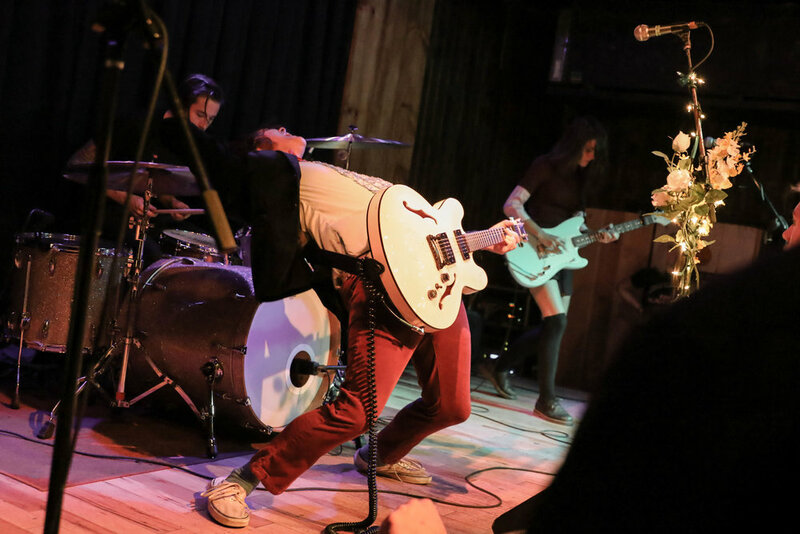 Beach Slang stopped by Barracuda with support from See Through Dresses and Dave Hause & The Mermaid to perform in front of a rowdy crowd. See Through Dresses began the night by getting the crowd warmed up for the rest of the night. Dave Hause and The Mermaid took the stage next and put on a fantastic and wild set. Austin, Texas. Deer Tick split up their presentation in two. They presented an acoustic set, which was a change from their alternative rock roots. The acoustic set was smooth and soothing. The band played “Hope is Big” which the whole crowd knew and sang along to. Other songs they performed included “Me and My Man”, “Cocktail”, “The Dream’s in the Ditch”, and “Only Love”. Deer Tick ended their acoustic set with the song “Mange”, in which the duo played a guitar riff together as they held their guitars in the air. The electric set was opened up with the song “Don’t Hurt” as the stage was illuminated yellow. The crowd was dancing, and jumping as the mood changed. The band followed their set with songs like “Jump Starting”, “Clownin’ Around”, “The Bump”, and “Easy”. The biggest hit amongst the crowd had to be “These Old Shoes”, the crowd was singing along and couples were making the crowd a dance floor. Thursday, Nov 16: A$AP Mob’s female Protégée Chynna Rogers performed at Empire Control Room with support from local rappers Ronnie Lott, JPlatt, Bberlay, and CLEE. Chynna gave these local artists a platform to showcase their music. With Chynna having connections in the industry with A$AP Mob, they brought their best to the stage. Meeting several A$AP Mob members at a young age, Rogers stayed in contact with them knowing they could further her music career. She took the Empire stage and had a good time performing for the crowd. She talked to them as friends and joked around. Her Ninety mixtape was written during a dark time in her life, she performed some songs off this mixtape, as well as some of her older music. The crowd seemed to really be into her music and was feeling the vibes throughout the night. She is definitely a unique female rapper and is on the rise with A$AP Mob, so we will surely be seeing and hearing more from her. Texas-native alternative rock band Blue October made an appearance at Stubb’s on Saturday, November 18. Opening for them was Missio, an electronic duo originating from Austin, Texas. Missio set the tone for the night opening with “I Don’t Even Care About You“, an electronic song that got the crowd dancing. Lead singer Matthew Brue of Missio gave a heartwarming speech about addiction, depression, and alcohol abuse as he introduced the 4th song on their set “Everybody gets high”. Missio closed their set by letting the crowd know that the Austin show was the show they had been waiting for since the tour started; two months ago. Missio and Blue October seem to have plenty of fans in common, as most of the crowd sang along to both bands’ songs. Blue October opened up with one of their more recent songs from the album “Home” released in 2016. The song “I Want It” has an alternative/indie feel and had fans in the front of the crowd swaying together as soon as it started. The loyalty amongst fans showed as they sang along to every Blue October song throughout the night. Lead singer Justin Furstenfeld made the crowd go wild as he asked them to dance with him as they performed “Hard Candy”. The crowd had a family-like feel to it, and you could see them unite every time Blue October asked them to sing, dance, and clap along. Furstenfeld surprised a fan as he hopped off stage to hug him and thank him for wearing their merch. The band also announced a new album coming out next year that is available for pre-order. November 13, 2017: The Rural Alberta Advantage took Austin by storm when they played an amazing show at Barracuda with special guests Yukon Blonde. Both bands being from Canada, Yukon Blonde surely got the crowd going as the openers. Their on-stage performance was similar to local bands we normally see around town. The vibe during their set was a little bit indie rock, but not too soft, with a dash of hard rock mixed in. 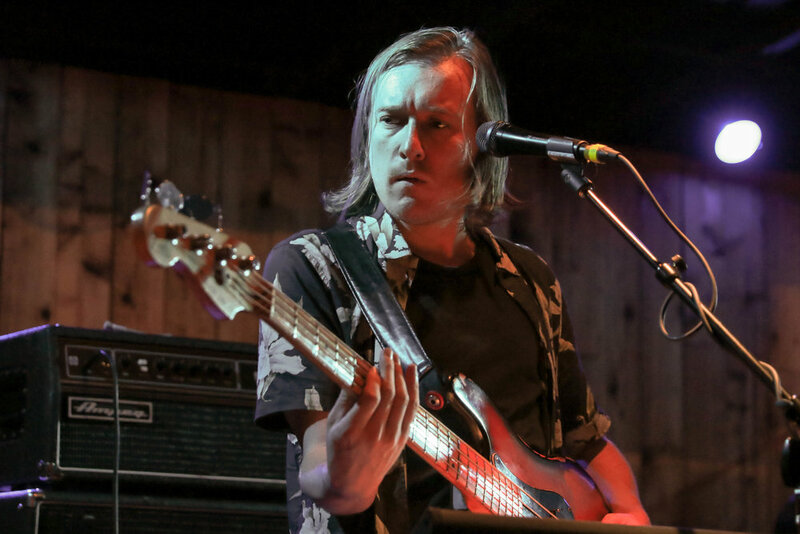 Not many people knew who Yukon Blonde was this night, but after their performance, they for sure gained some new Austin fans. on this tour. They will continue touring North America this fall and will begin touring Europe and the UK in February. November 13, 2017: The Chicago native singer-songwriter, Andrew Belle sold out Stubb’s indoors with support by married couple and folk duo, Praytell. Praytell have been singing together for a while but recently started their band. 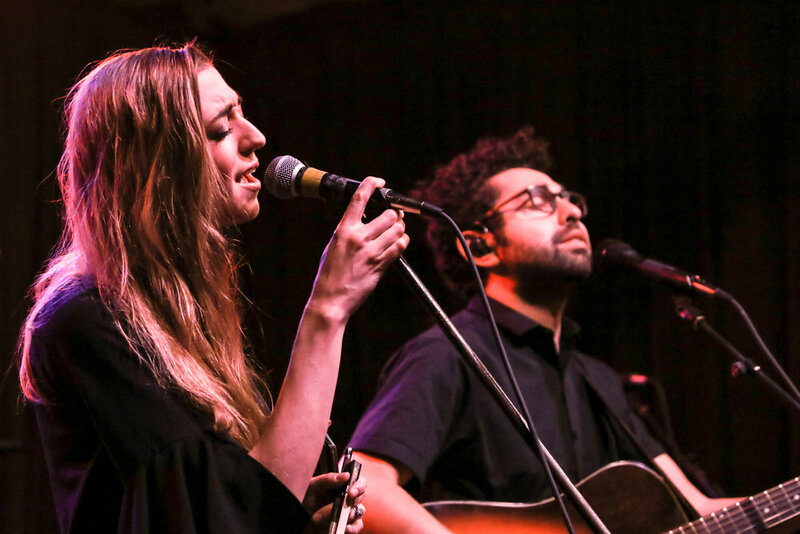 The duo combined both of their passions for music and the chemistry between the two as they performed at Stubb’s was undeniable. The duo performed original content as well as a few covers. One cover that stood out was “Alright,” by Kendrick Lamar. They put their own spin on it by singing a slowed down folky version. When Andrew Belle took the stage, screams erupted from everyone in the crowd. Phones went up and flashes went off as he began to sing the title track from his latest album Dive Deep. It was a very intimate show packed with people from all over Texas. 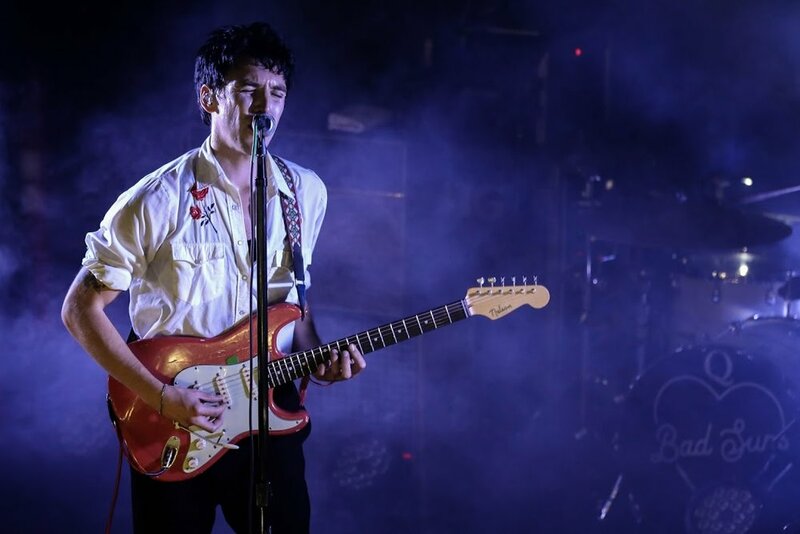 The best part of the night was when Belle performed one of his biggest hits “In My Veins,” which has been heard in episodes of Grey’s Anatomy, Castle, Pretty Little Liars, and The Vampire Diaries. That being said, we bet Andrew Belle will be playing a bigger venue the next time he strolls through Austin. 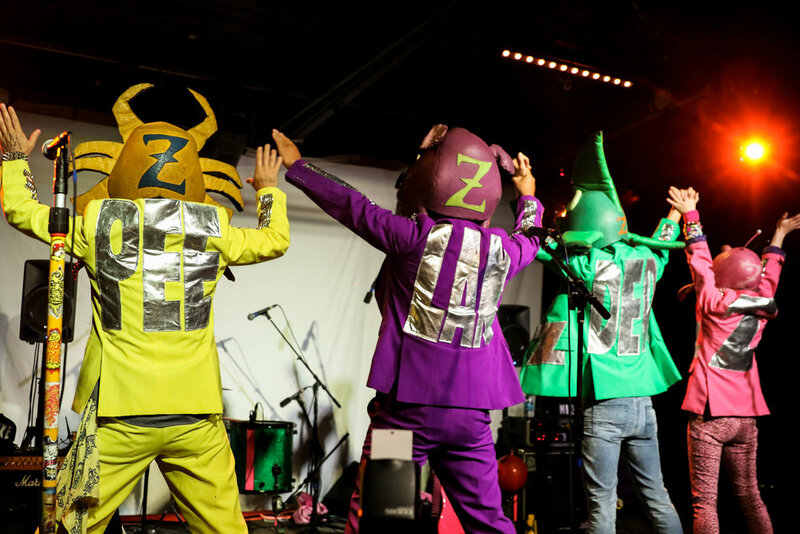 November 11, 2017: Two of Austin’s very own creative and unique bands, Calliope Musicals and Peelander-Z shared the stage together at Empire Control Room. If you’ve seen either of these bands live you know you’re in for a treat. If you haven’t seen these bands live, well, you’re in for a bigger treat. Calliope Musicals hit the stage first with their unique stage presence and production. Their mic stands were lit up and there was a projector playing bizarre animation on several screens behind them. They gave yet another amazing hometown performance, as everyone in the crowd couldn't help but dance along to their super catchy jams. 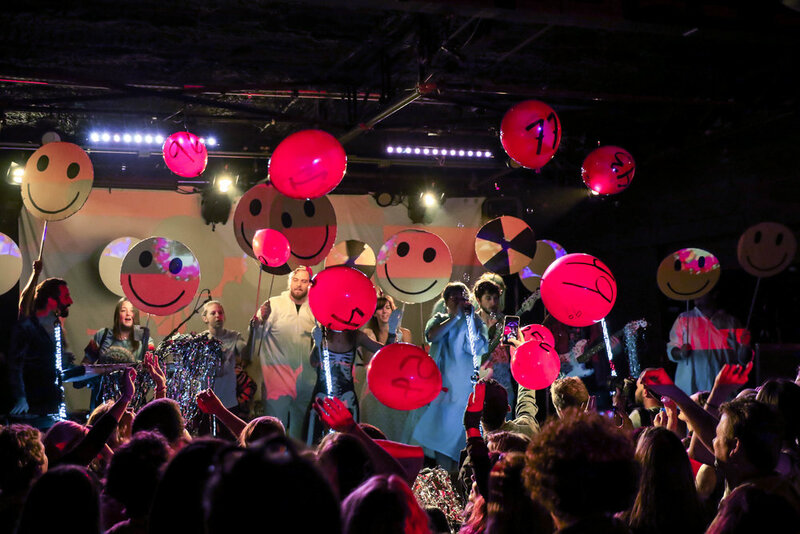 The band then brought some friends on stage that threw out 99 red balloons, and they ended their set with a "99 Luftballons" cover. The night was still young and filled with even more dancing as Peelander-Z set in for a very high-energy set. Bringing some fans on stage to make them exercise was a highlight of the night. For Peelander-Z, there is always time for a quick workout. At one point Peelander-Yellow played limbo with the crowd. He used a long rope and made the whole crowd go under it and move from one side of Empire to the other. It was a fun filled Saturday night for the locals of Austin. American rock band Bad Sun brought their “Love Like Revenge Tour” to Mohawk on November, 9 2017 with support from QTY and Hunny. New York based rock band QTY started the night off. Their sound was one you would describe as classic rock mixed with the modern styles rock music. Although their full-length debut album won’t be released until December, QTY performed a few songs that they have released, which are available on streaming services. Hunny was the second act to take the stage. 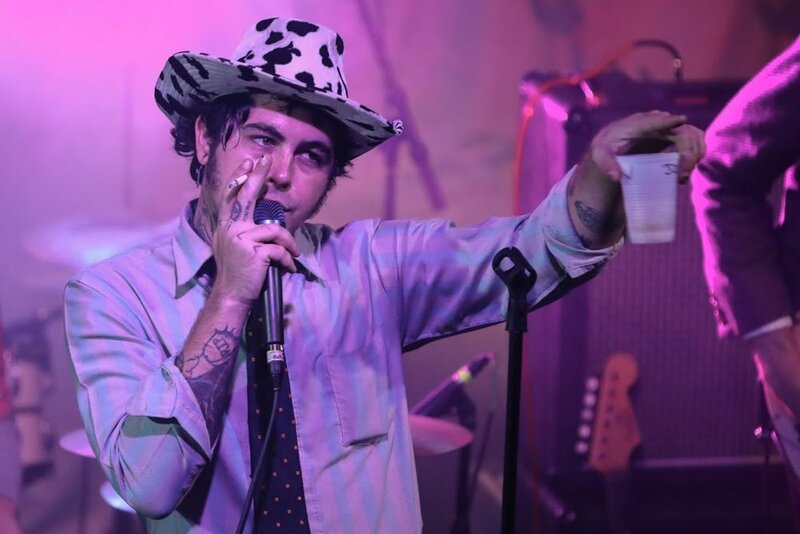 Coming out in a cow themed cowboy hat, lead singer Jason Yarger looked very pleased to see the crowds’ reaction. 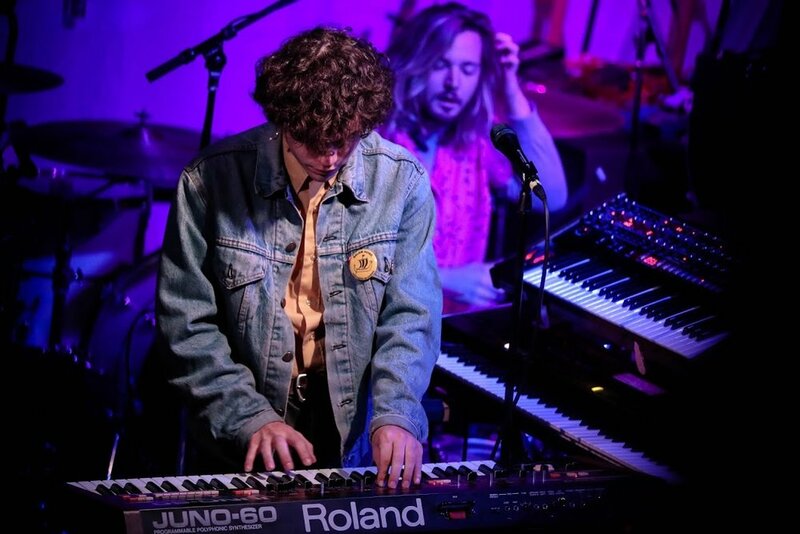 Hunny had that modern rock sound which can be described as indie/alternative with a dash of punk. The crowd seemed to really vibe to Hunny during the performance, you could tell they had a few fans in the crowd. People were getting into the songs, jumping, dancing around and singing along with the band. Some notable fan favorite songs performed were “Cry for me,” “Natalie,” and a slow version of “Parking Lot” from their 2015 album Pain / Ache / Loving. Nonetheless their performance went well and got the crowd pumped up for Bad Suns. 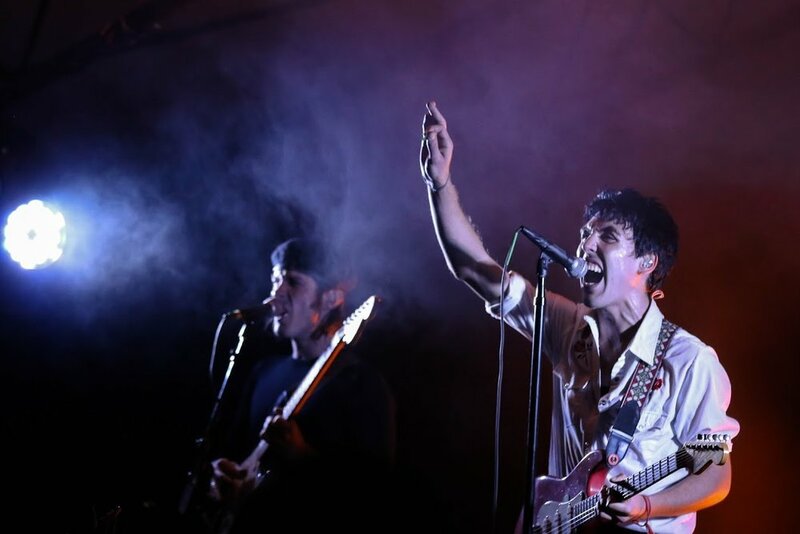 A sold out venue of Bad Suns fans were ready for their favorite band to take the stage. Once they did, the venue erupted with screams and cheers for the band. They opened up the night with “Disappear Hear” from their 2016 album Disappear Here. Midway through the performance, lead singer Christo Bowman went into the crowd and was lifted up by them as he continued singing. This was one of the highlights of the night. Bad Suns also performed some of their old tunes from their 2014 EP Transpose including “Transpose,” “20 years,” and “Cardiac Arrest.” They ended the night with “Heartbreaker,” and “Salt.” Only a few dates remain on this headlining tour for Bad Suns, they will end in Las Vegas.